If you want to succeed as an online marketer, then you will need to utilize several different marketing strategies to reach your target audiences. Search engine optimization(SEO) is one of the most effective methods of generating traffic for your web page. SEO aims to increase the online visibility of your website specifically in search engine’s unpaid results pages. Black hat SEO is an innovative and aggressive SEO strategy that focuses only on search engine algorithms and is not geared towards a human audience. These black hat SEO strategies can be incredibly rewarding for advertisers. Most recently, developers have created tools to make black hat SEO easier for users. These black hat SEO tools are useful for things such as link building and content creation. Some of the most popular Black Hat SEO tools are auto link builders, auto content creation tools, social media monitoring tools, and proxies. These tools allow marketers to automate some of their daily tasks and allows them to shift the focus of their workload into other projects. Some argue that black hat SEO techniques are unethical and even illegal in some areas of the world. However, with many taking advantage of these tools, it is foolish not to use them for your own digital marketing campaigns. However, it is important to balance these black hat techniques with other more accredited marketing techniques that are credible and reputable. If you fail to use these black hat SEO techniques properly, you may eventually become banned from certain search engines altogether. If you want to increase your page’s ranking on users search engine results pages then you should try out some of these ten best black hat SEO tools. Some of the most popular tools include content automation tools, link building tools, cloaking software, and article spinning software. You may be thinking, “why should I use any of these top ten black hat SEO tools?” The answer is simple. These tools can help you quickly generate high returns on your latest advertising and marketing campaigns. Black hat SEO usage is most common among marketers looking for quick returns, rather than long-term investments, but the returns can be immediate and large. While the large returns can be very attractive, it’s important to balance these new age black hat strategies with traditional marketing strategies that are steady over the long term. With hundreds of millions of users searching online databases every day, you cannot afford to be lazy with your search engine optimization strategies. If you want to skyrocket to the top of your users SERPS then you must be aggressive with your SEO marketing strategies and employ the use of some of these top ten black hat SEO tools. To help with your large workload as a marketer or entrepreneur, employ the use of these SEO tools that were developed specifically for people like you and me. If you take the time to learn these black hat SEO techniques and use these top ten tools, then your page will be populated at the top of hundreds of thousands of users search engine results pages every day. If you want to create backlinks in bulk, you should consider downloading the GSA Search Engine Ranker Tool. This powerful tool gives marketers the ability to automate their backlink building and never have to do it by hand again. This software builds backlinks 24/7 and requires little to no input from the user. The innovative software behind GSA Search Engine Ranker automatically creates accounts and registers them on relevant authority sites and submits your content automatically. You can monitor several different campaigns at one time with the advanced scheduling features offered by GSA Search Engine Ranker. You can choose how many projects you’d like to run at one time, and even tweak advanced settings like limiting activity to certain times, and selecting the exact start and stop times for precision control of your latest online marketing campaigns. The user interface is easy to follow and provides reports in diagrams and charts that are easy to understand. One of the best features that GSA Search Engine Ranker offers its customers is the ability to manage several project filters. These filters can help you set exact parameters for your latest online advertising campaign. Some filters include keyword filtering and country filtering. This is a great feature for marketers who want to define the countries where their links are placed, and even the language the site should have. This allows you to test out how your site is ranking around the world, and in particular areas. This valuable insight can alert you to changes that need to be made as your clients branch out across a global landscape. 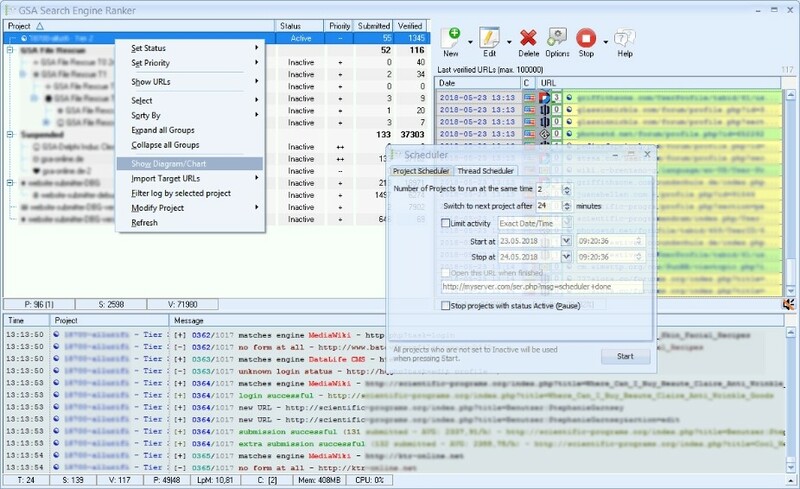 The GSA Search Engine Ranker is just one of many powerful black hat SEO tools offered by GSA which is a German custom software development firm. They offer many helpful SEO tools that can automate and reduce the digital marketer’s daily workload. The GSA Search Engine Ranker is offered for sale at a price of $99. This is a fair price for all the features offered, and marketers should certainly not overlook this option when choosing from the available black hat SEO tools on the market. If you want an SEO tool that has been proven to attract attention to web pages in users search engine result pages, then you should check out Scrapebox. 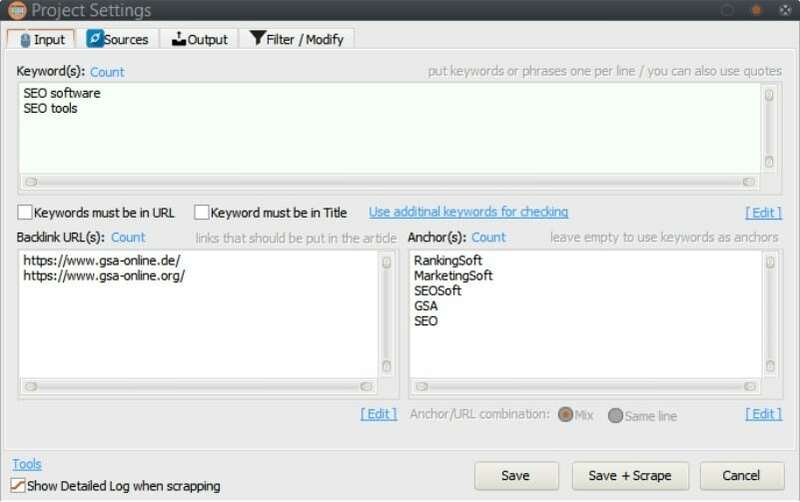 Scrapebox is an innovative tool that helps users with their aggressive SEO strategies. Scrapebox offers many advanced features that marketers need such as search engine harvesting, mass link building, and keyword scraping. These advanced features help you uncover your competitor’s keywords and get your site ranking even higher than ever before. Scrapebox offers a high-quality mass link builder feature that attracts many marketers to its service. This mass link builder allows users to generate blog comments for their sites at the push of a button. Not only are you able to post comments on your own blog, but you can use the link builder to post comments on dozens of different blog platforms and contact pages across the web. This SEO strategy ensures that your web page will be visible in the search engines and will increase your page rank with every relevant backlink. 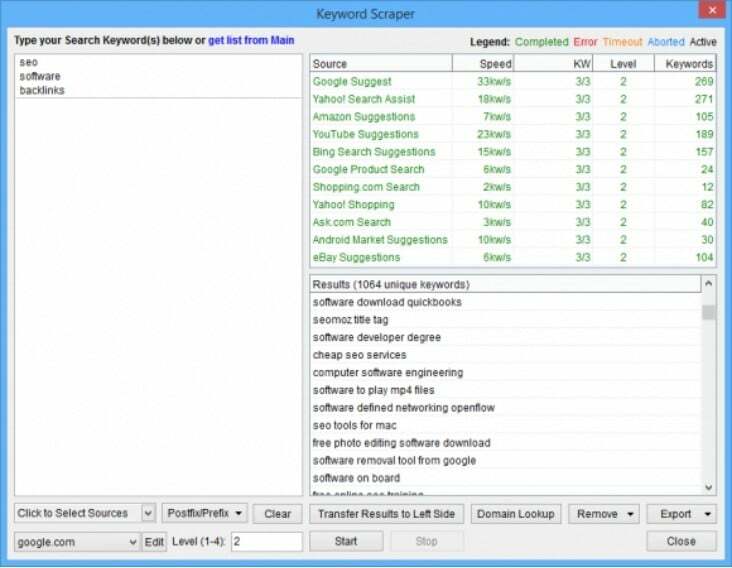 One of the other popular features that Scrapebox offers its customers is its lightning fast keyword scraper. This takes the lengthy time out of keyword research and allows you to track your competitor’s keywords directly. 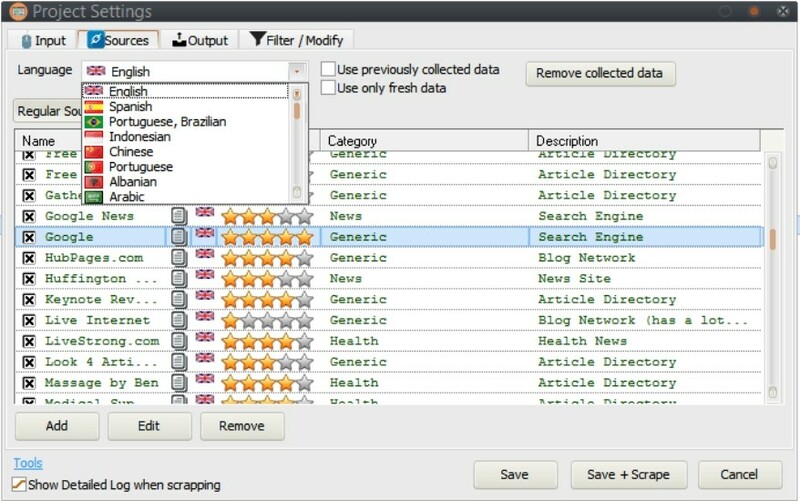 Scrapebox uses a high-tech scraping method to determine what other online users are searching for. 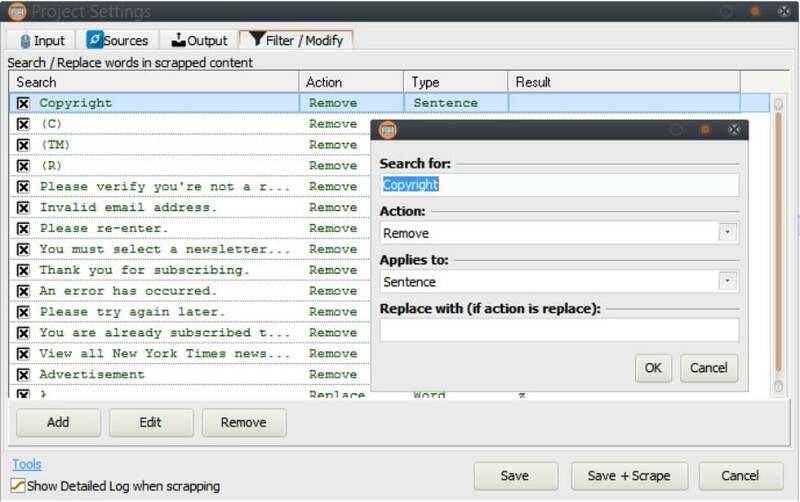 Scrapebox then takes those suggestions and auto-complete queries and generates tons of keywords all from one base keyword. This is a great way to automate keyword generation and reduce your time spent tracking keywords each day. You may be interested in, How to use Scrapebox with proxies. You can purchase Scrapebox for just $97. This is a great price and can be a lot cheaper of an option than some of the tools that operate on a monthly subscription scheme. 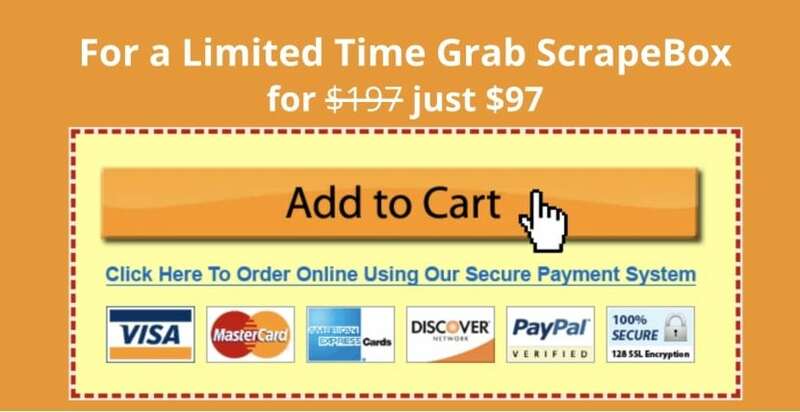 Don’t let the low price fool you though, Scrapebox is a credible and reputable company within the online marketing and advertising world and is used by many fortune 500 companies. Scrapebox also offers great customer support, with helpful video tutorials and even 24/7 tech support for its customers. The number one black hat SEO tool on our list is SEnukeTNG. This all-in-one SEO marketing automation tool helps users monitor their traffic and track engagement metrics with their followers and audiences. Some of the statistics that SEnukeTNG tracks are total site visits, and total page views. This tool utilizes a powerful CrowdSearch feature to simulate hundreds of user searches on online search engines like Google to generate results for its customers. Founded in 2008, this tool offers features like automated backlink creation in which the software automates the top-ranking factors that databases track such as click through rate and bounce rate. Users can boost their CTR and reduce their bounce rate by automating the keyword ranking strategies with SEnukeTNG and their advanced algorithms. The user interface is very easy to use, and all that users need to do is enter in their URL, and then type in the keywords they want to rank for; SEnukeTNG will handle the rest. SEnukeTNG has more ranking influence than any other SEO tool. This package allows marketers to take their competitors ranking and keywords and use it themselves. Some of the most popular features that SEnukeTNG has to offer are the automatic creation of valuable social links, media-rich content, press releases, and even fully optimized SEO campaigns. The innovative loop mode feature allows users to set up their campaign only once, and the software will rinse and repeat as necessary, loading relevant content for users automatically, as well as automatically creating backlinks on authority sites each day. SEnukeTNG offers several different pricing models for users to choose from. If you are not sure about the service, you can take advantage of the seven day trial for only $1. This is a great option for users who are not sure whether or not they like the tool. 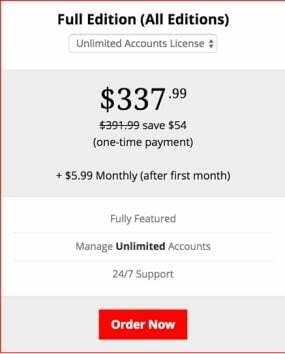 Once you’ve finished your trial, you can choose to purchase the tool for $97 per month for one license, or three licenses for $147 a month. The tool also offers an annual pricing plan which is $777 a year, and $1377 a year respectively. If you are looking for an industry-leading tool that can automate your SEO strategies, then you should certainly try out SEnukeTNG. This is one of the leading tools available for SEO marketers, and when utilized properly can fully automate your latest ad campaign. If you don’t mind paying the premium monthly cost, then SEnukeTNG is a great all in one black hat SEO tool for you to consider. One of the hardest aspects of a link building campaign is not having any quality pages to link to. Building relevant and unique content for your postings can be costly, often times requiring you to pay freelance writers to write the content. Well, thanks to GSA content creator you can now generate readable content at the click of a button. This powerful software allows users to create unlimited amounts of projects that scrape and spin links, images, and videos and it’s easier than ever before. 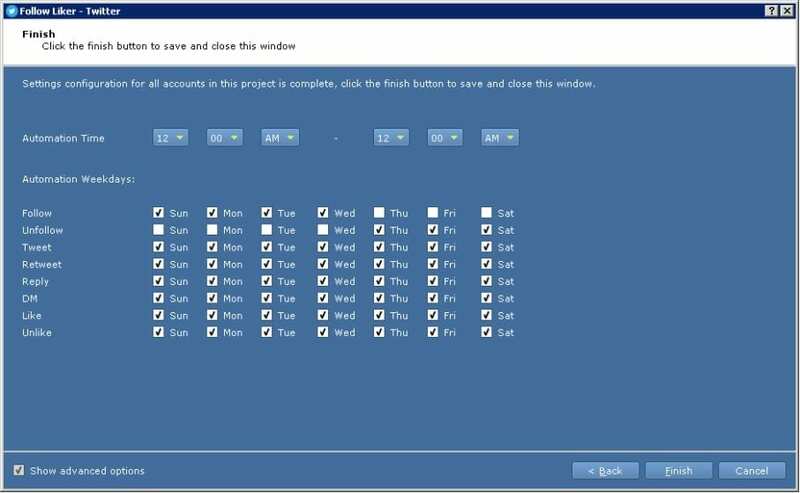 GSA Content Generator allows customers to control every aspect of the article spinning and content generation process. Users can control settings such as number of paragraphs, words per paragraph, embed locations, and many more. 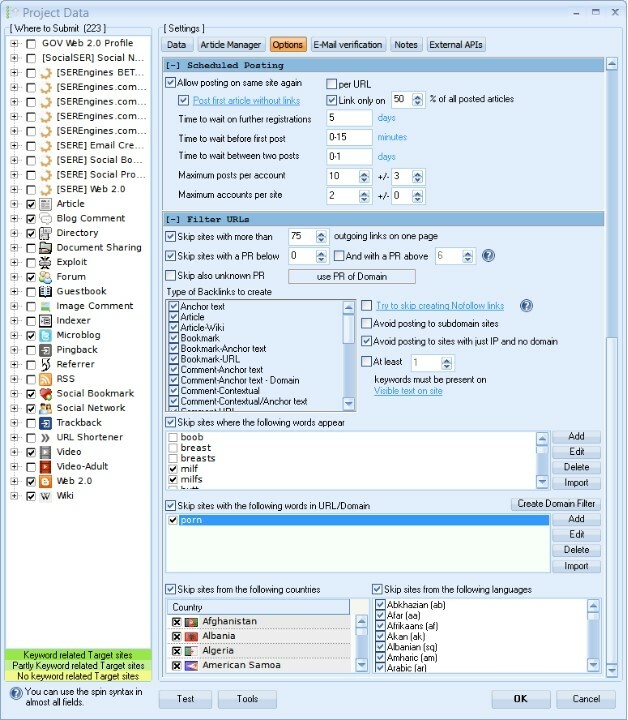 This tool is popular among black hat SEO users because it allows users to add their own content sources at the push of a button. The powerful scraping functionalities allow users to harvest keywords, content, images, and videos and put together their own finished product. One of the most popular features about GSA Content Generator is the built-in proxy. This powerful article generator includes its own proxy capabilities which prevent third parties from tracking your data. This can be incredibly important for black hat SEO users who want to stay unbanned and do not want to be tracked down by popular search engine providers such as Google. This tool is only $147 and is a great deal for marketers who have massive backlink campaigns planned in the future. This generator will free up time and save money for marketers and is part of the larger GSA SEO software suite. Finding fresh content has never been easier before, and if you want to automate your SEO strategies then you should definitely give GSA content Generator a try. Created in 2011 by founder Alex Cardinell, WordAi is a useful article rewriter that many SEO marketers take advantage of when they need to generate their own written content in a short amount of time. This powerful tool is able to rewrite entire sentences from scratch and does so with such a high level or precision, that it passes detection on major plagiarism checkers such as Copyscape. This is a great tool for users who need to spin content and create unique articles for their SEO marketing strategies quickly and in a large volume with little editing. WordAi is popular among industry professionals because it produces readable, high-quality written content for its users. Some of the most popular features include bulk spinning, list spinning, title spinning, and HTML editing. Some however, argue that the readability of WordAi can differ based on the targeted niche audience. To correct this, we recommend giving all articles a quick review after spinning. There are two different pricing models available for WordAi. The first option is more expensive and is paid on a monthly basis at a price of $49.95 per month, coming to a grand total of $600 per year. If you think that you want to work with this tool for the long term, then you should consider the yearly plan which only comes to a total of $347. This is a great price for all the high-quality features that are included with this software. If you want to rewrite sentences and generate your own completely unique content, then you should download WordAi. This tool is a must-have for your next link-building campaign. If you want to see if this tool is right for you, then be sure to download the free 3-day trial! 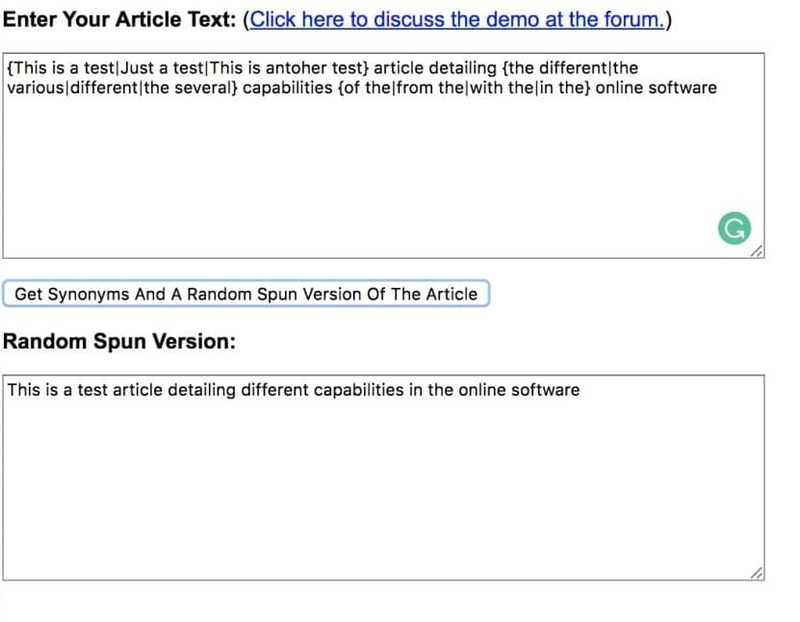 Another great automated content generation tool for SEO marketers is thebestspinner.com. 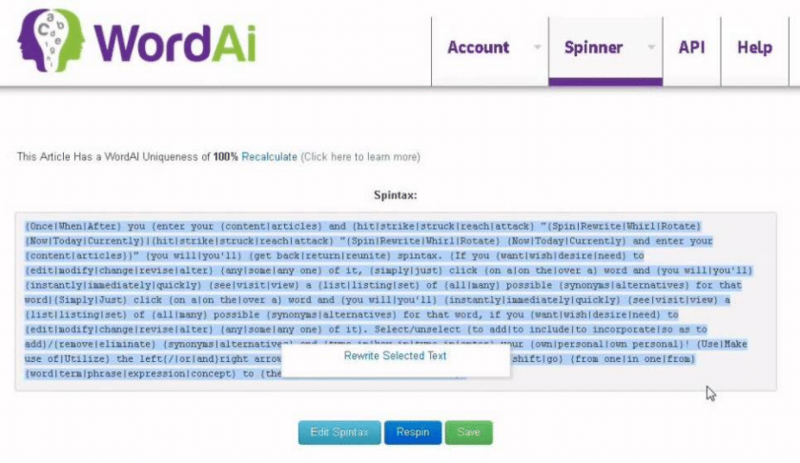 Similar to WordAi, this is a tool that automatically spins articles and generates unique written content for its users to place online in backlinking campaigns. 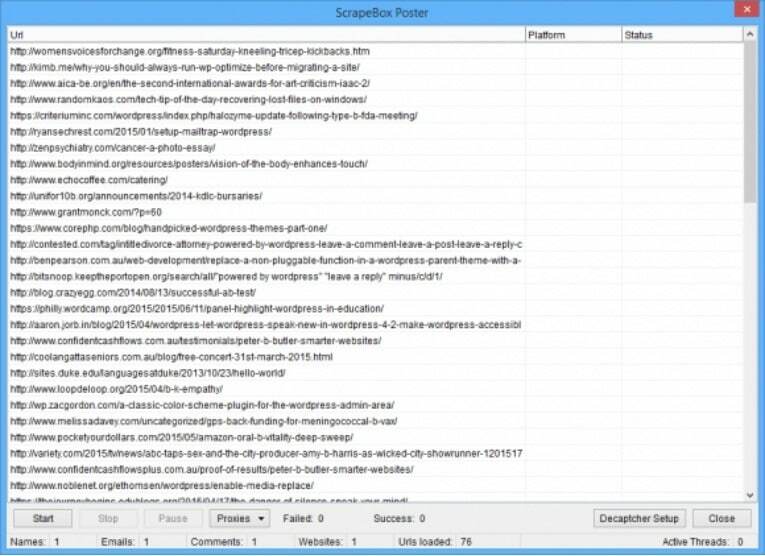 This is a great blackhat tool for marketers who want to increase their online web presence. Thebestspinner.com is easy to use, all you have to do is enter your article text and it will give you a randomly spun version of the article. 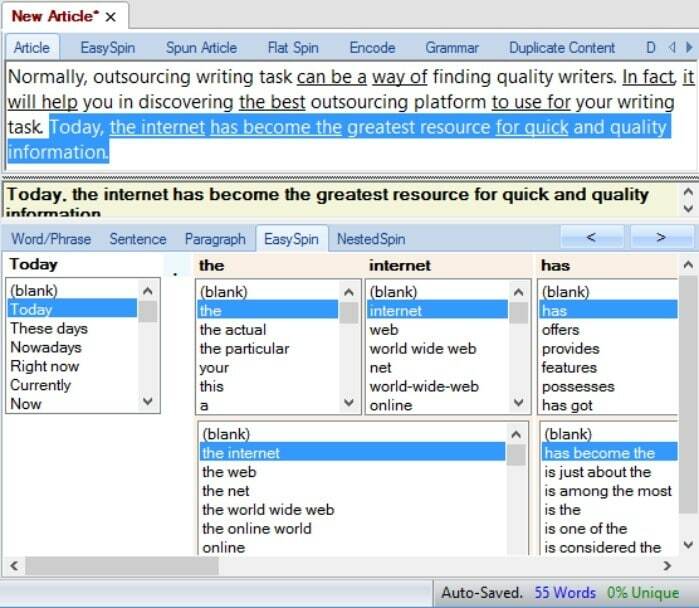 The advanced algorithms behind this tool pulls thousands of synonyms from their online thesaurus to provide users with unique and customized content for their niche audiences. A useful feature is the built-in Copyscape API which is a plugin that allows users to submit their newly spun articles through the popular plagiarism checker. This ensures that articles are unique and can be used online without repercussion. This is a great feature to have, and it can serve as a final check for the article before online submission. This black hat SEO tool is relatively expensive but pretty comparable to some of the other tools on our list. 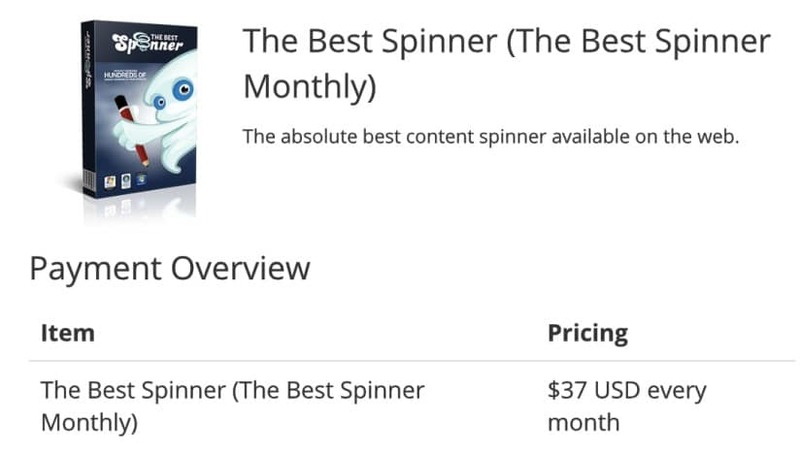 Thebestspinner.com offers premium paid access for $37 per month and includes a 30-day money back guarantee in case you aren’t fully satisfied with the quality. 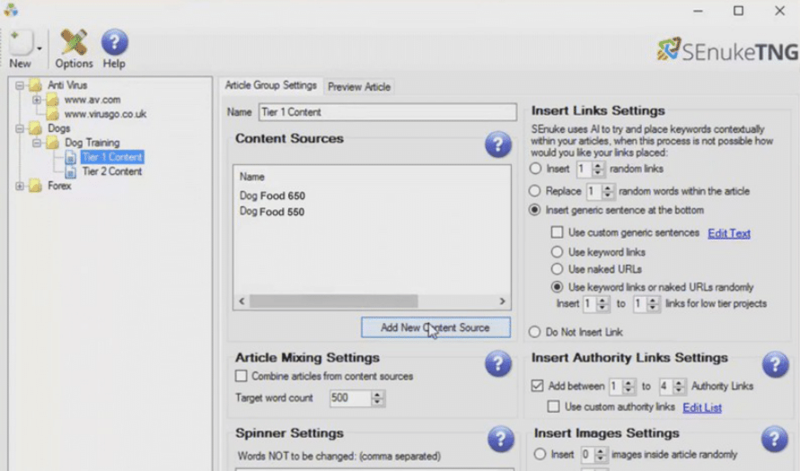 This tool is one of the best automatic content creation tools for written articles and is a great option for your next SEO marketing campaign. Social media is an integral piece of any modern SEO marketing strategy. Social media webpage’s collective shares, likes, and visibility are known as social signals and they can indirectly contribute to a site’s online search engine ranking. These social media signals affect SEO and it’s important to understand these metrics to gain valuable insight for your next advertising campaign. Thankfully, helpful tools like followliker.com have been developed to automate most social media management tasks. FollowLiker provides support for all the four major social media platforms – Instagram, Facebook, Twitter, Tumblr. There are many features that users can take advantage of such as automated retweets, replies, favorites, and likes. This is a great tool to boost follower interaction between clients and their audiences. The software also boasts scheduled postings in which users can automate their future posts by pre-loading them in and setting them to release at specific times. This social media automation is great for users who are frequently traveling and want to plan their social media marketing strategies in advance. One of the best features that FollowLiker provides are its numerous payment options. The flexibility here in choosing which package works best for you is a great way to save money and only pay for the services you need. Do you primarily only market on Twitter? Then select one of the twitter specific plans starting with a one-time payment of $98. Do you need to manage all of the major social media platforms? Then consider investing in the more expensive Full Edition that supports all four of the major social media platforms and requires a one-time payment of $338. Regardless of which plan you select you will also be faced with a 5.99 monthly fee after your first month, but this covers the 24/7 customer support that you will be granted with your purchase. If you need an all-in-one social media monitoring and automation tool, then you should really download FollowLiker. This black hat SEO tool has been proven to boost online engagement and can help you boost your page to the top of users SERPs. Certain black hat SEO techniques require the user to change their IP address to prevent an IP ban being placed on themselves. In order to change your IP address, you will need to use a proxy server. A proxy server changes your computer’s IP address and masks your true location, ensuring that you stay ban free. A popular type of proxy used today is a Datacenter proxy which only reveals the proxy address of the company running the datacenter, rather than the individuals personal IP address. 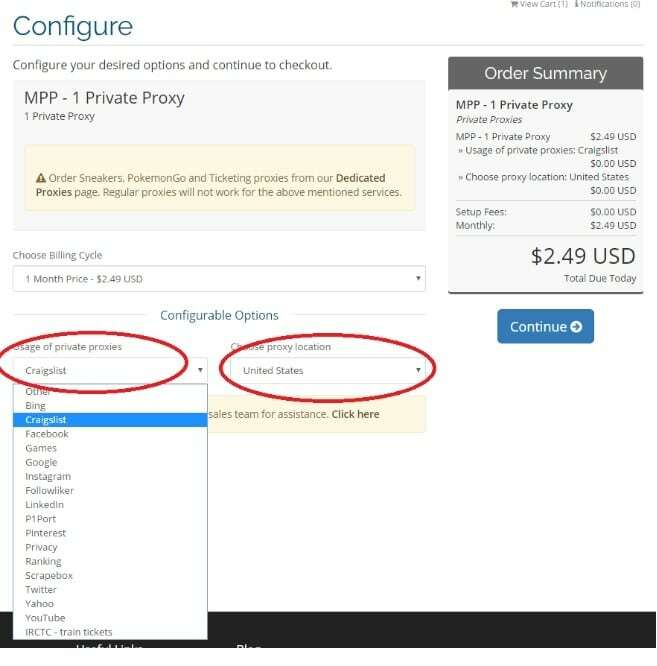 Users who want to mask their IP address should buy the dedicated proxies, and wE suggest the Myprivateproxy because of its many great features. It is an industry leader within the proxy security industry. Their innovative technology uses proxies from multiple locations to ensure that users are masked with non-sequential IP’s. With a 99% network uptime, Myprivateproxy is one of the most secure and reputable proxy providers in the world. It has earned our top spot for dedicated datacenter IP proxy provider. Myprivateproxy has 16 major US data centers, as well as 8 European datacenters. These highly anonymous private proxies are optimized for SEO tools and advertisers needs. This tool provides great functionality with black hat SEO tools such as SEnuke, and Scrapebox that we previously discussed. Another useful feature for users is the full browser functionality and support with plugins for Chrome and Firefox. Want to know more about MPP? Read our expert review. The pricing depends on how many proxies you want, and the type of proxy you’re interested in. The private proxies start around $1.50 while the shared proxies are cheaper and start at about $0.65. It is important to note that IP address is just one of many security triggers online when it comes to black hat SEO use the proxies mask the IP will be fine, But for some other behaviour like post classified ads online, you should also try some other masking tools like a browser fingerprint spoofer to ensure full anonymity. The world’s largest and number one trusted tool for residential proxies is Luminati. This service is specifically optimized for SEO users and allows you to scrape any web data without fear of being blocked or banned. This is a must have for any SEO users who want to specifically use residential proxies. Luminati features IP’s in over 220 countries, 26,000 cities, and has over 11,000 ASN’s to choose from. Perhaps the most remarkable statistic is their 99.9% network uptime which guarantees you and your clients are always protected. The pricing structure offered by Luminati is a great choice for users who know exactly what their needs are. The pricing plan for residential proxies is based on two factors which they use to estimate your monthly traffic in gigabytes per month. You first specify the average size per request in KB, and then you specify how many daily requests you will be running. 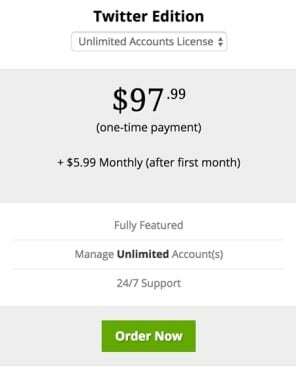 Luminati uses these two factors to estimate your monthly traffic in GB per month and you are charged $12.50 a month per GB. One caveat to keep in mind though is that the starter plan does require a minimum monthly commitment of $500. Want to know more about their proxies? Read our review about Luminati proxies. Thankfully, Luminati also offers a 7-day free trial so you can try out the tool before you purchase. If you are looking for a true residential proxy service, then you need to check out Luminati. Hundreds of industry experts use this tool every day to help with their black hat SEO techniques and you can too! Last but not least on our top ten list of black hat SEO tools is GSA Captcha Breaker. This is the third GSA product on our top ten list, and that is because the German software developer stands behind their products with excellent customer service, troubleshooting, and support. One security safeguard that can stop some black hat SEO techniques in their tracks is the advanced Captcha security system. A captcha system is designed to stop bots from visiting websites. 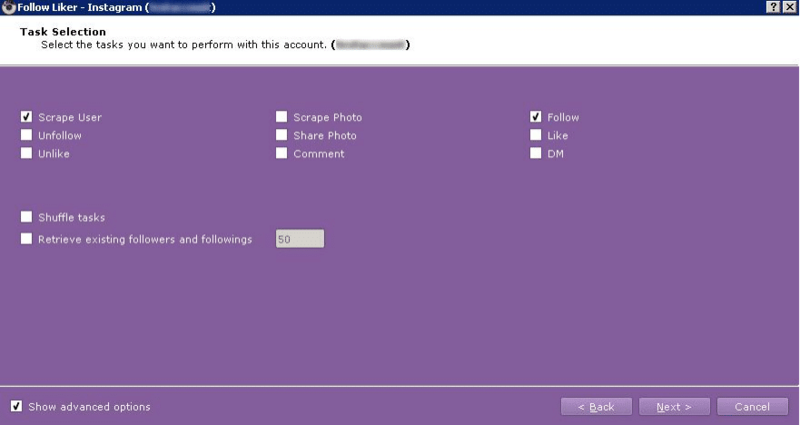 Captcha systems present web visitors with a text image containing some phrase that must be replicated to prove the user is a human user and not a robot. GSA Captcha Breaker is an advanced tool that allows automated entry into websites to perform black hat SEO techniques such as scraping, and automatic content generation. This is a great tool to be used in conjunction with several of the other tools that we have covered on our top ten list so far. 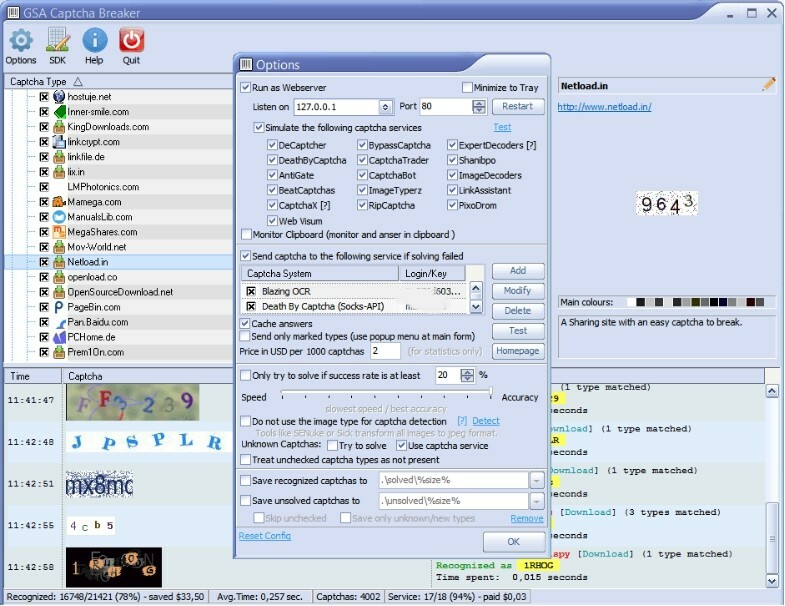 GSA Captcha breaker will break almost any captcha type, and even includes an editor to add any new captcha systems that are created in the future. Like most of the other available GSA products, Captcha Breaker can be purchased for a one time fee. The tool will run you $147.00 but it is well worth the investment for your black hat SEO techniques. Investing a little money here can really pay off for you in the long run. When your website is ranking on the first page of users search engine results pages, your investment will have paid for itself. Trust the experts at GSA and be sure to try out their Captcha Breaker to help you scrape, generate, and soar to the top of the most popular search engines! Some may argue that black hat SEO techniques are unethical and should not be practiced. However, there are many benefits to black SEO marketing strategies that should be realized. These marketing strategies allow users to automate some of the time-consuming aspects of search engine optimization. Popular tools like those top ten listed in this guide can help marketers bring their pages to the top of users search engine results. When choosing which black hat SEO tool is best for you, there are several factors to be considered. First, you will need to determine what your exact needs are. Are you looking for a cloaking software to disguise your location when tracking page rankings across the world? 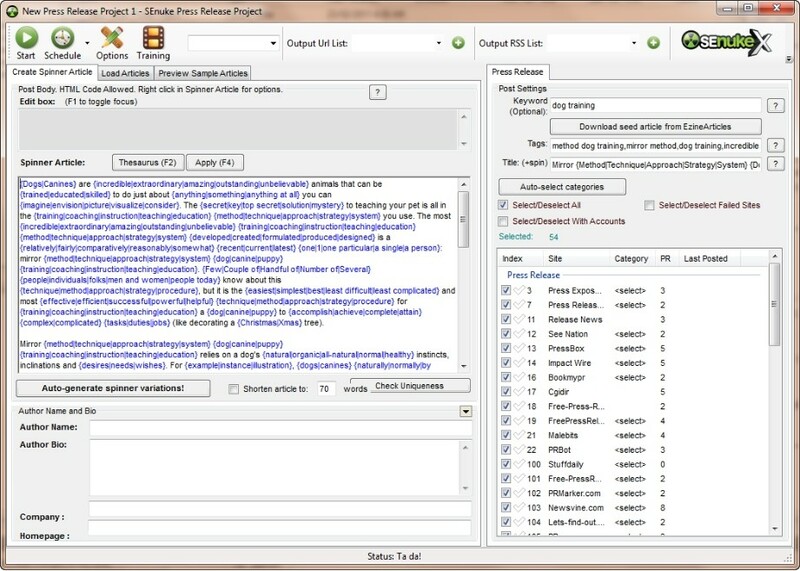 Or do you need a content automation software to generate your material while you work on other tasks? Once you identify your needs, you can start looking at some of the available products on the market. While some of the SEO tools are free, some are paid; so you will also need to consider your budget for these tools. If you have more money to spend, be sure to consider tools with proven track records and friendly customer support. Ultimately, it comes down to personal preference because every web page, client, and marketer is different. If you give a few of these tools a shot, you can find your favorites and eventually have your black hat SEO strategies heavily automated. Many people are using the advanced black hat SEO tools listed in this guide. Don’t fall behind the pack, be sure to experiment with these SEO techniques during your latest ad campaign. If you follow those tips and tricks listed in this guide, then you are well on your way to online success.